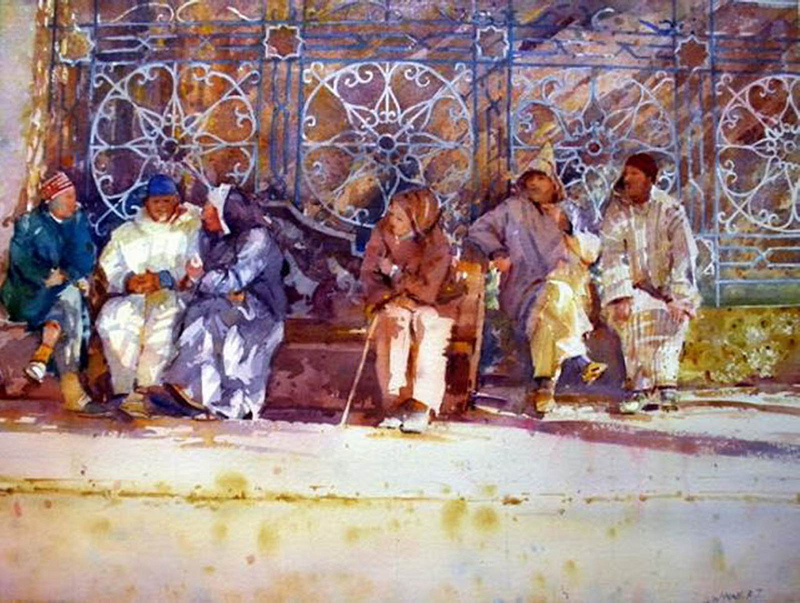 Born in Stoke, on Trent, Staffordshire, British painter Geoffrey Wynne moved to Spain soon after completing his degree in Fine Art at North Staffordshire University of Fine Art - BA Hons in Fine Art, 1985. 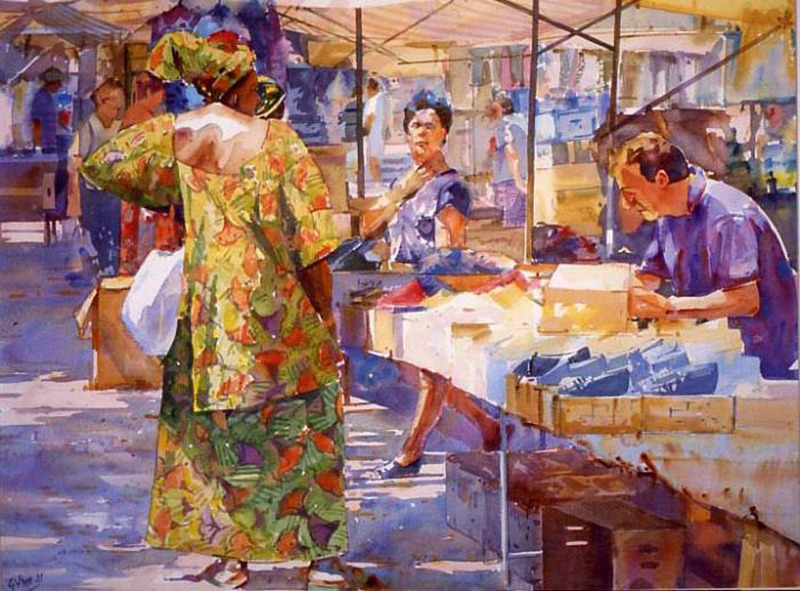 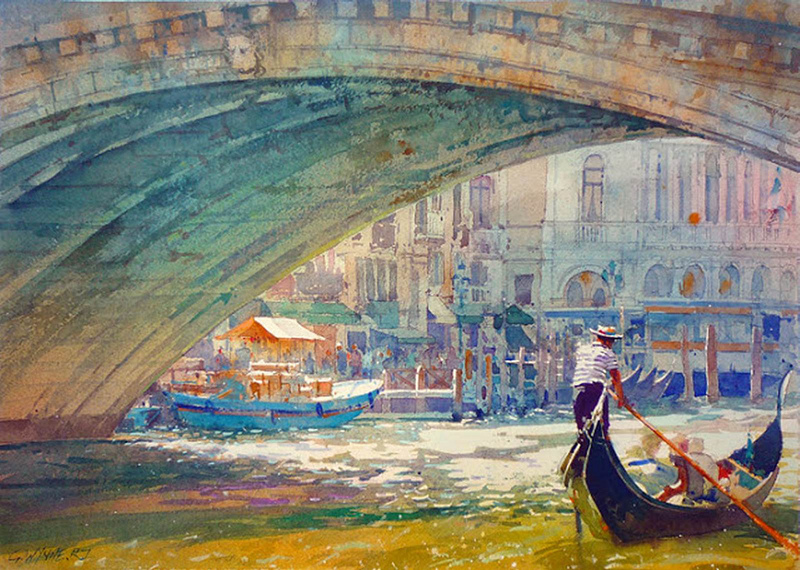 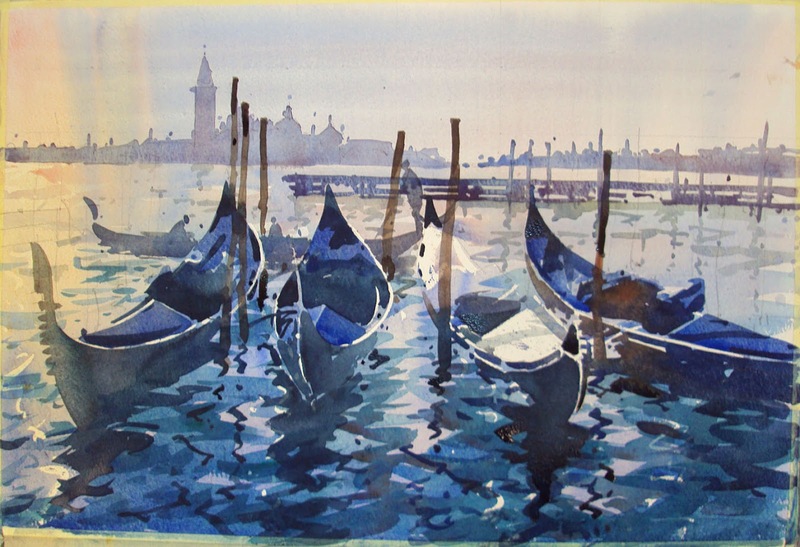 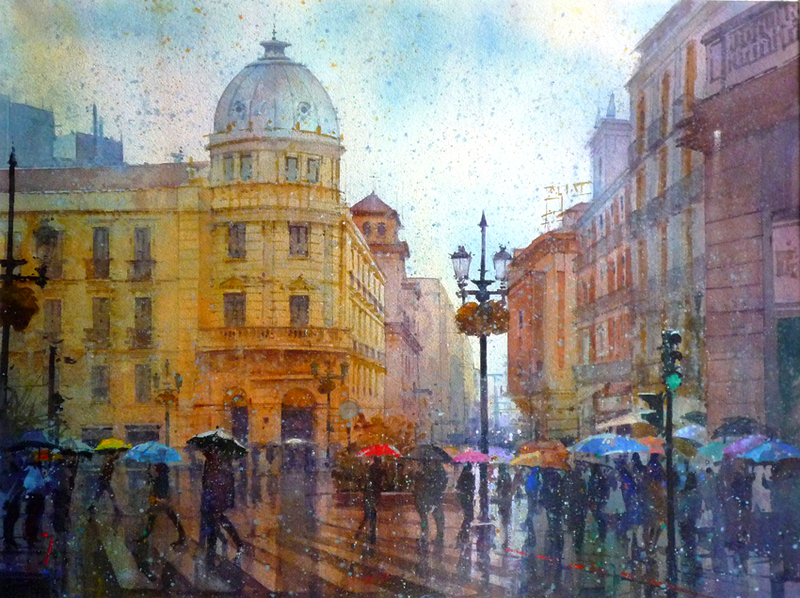 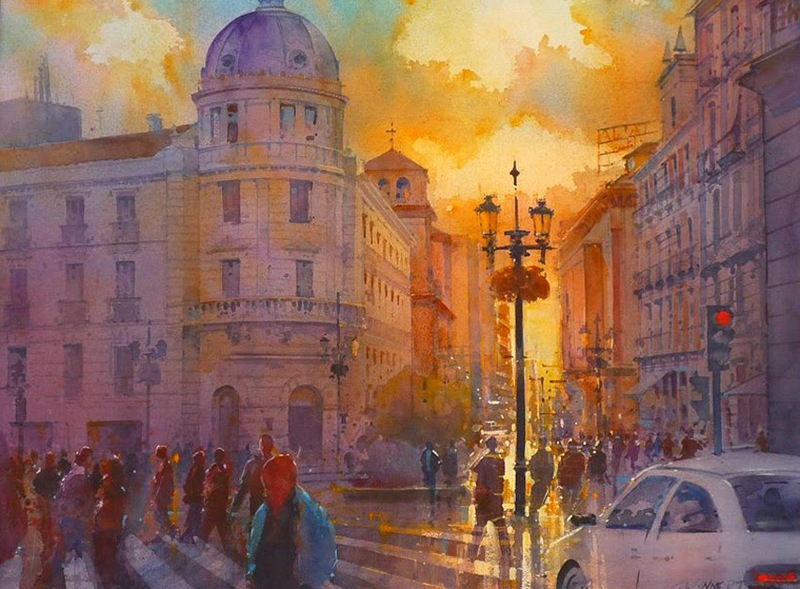 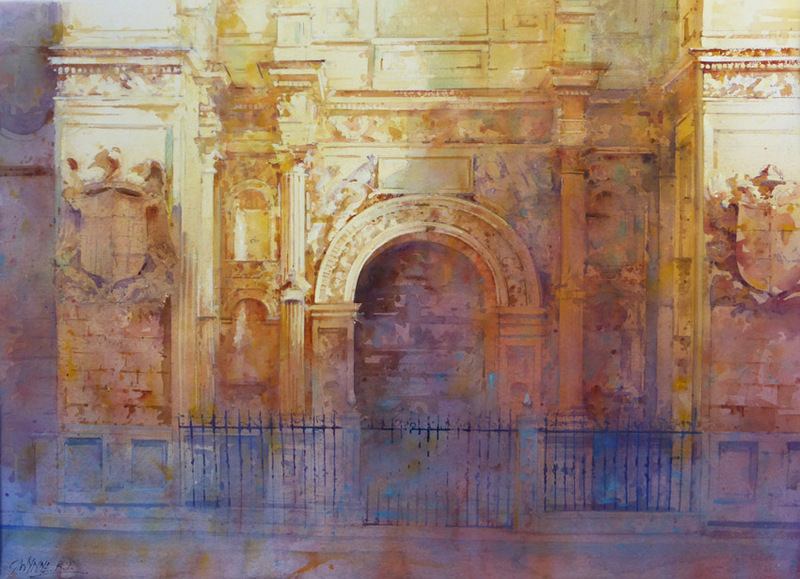 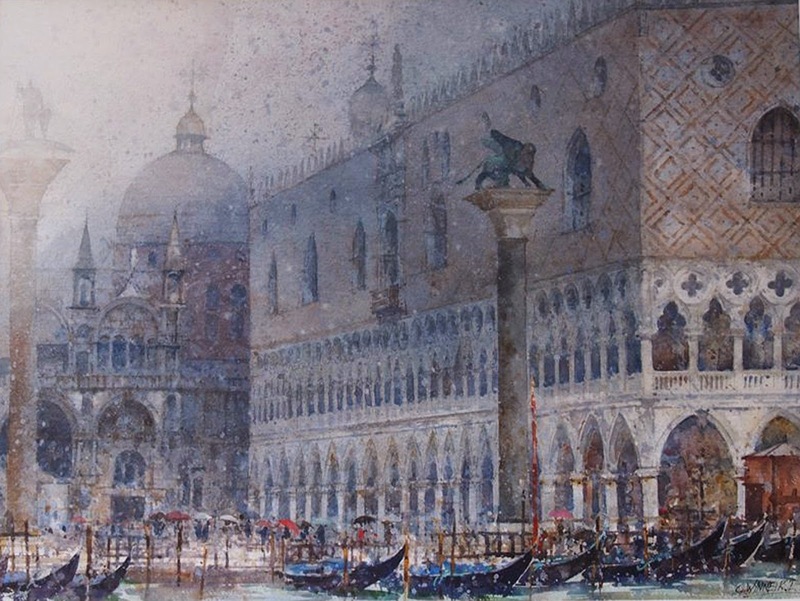 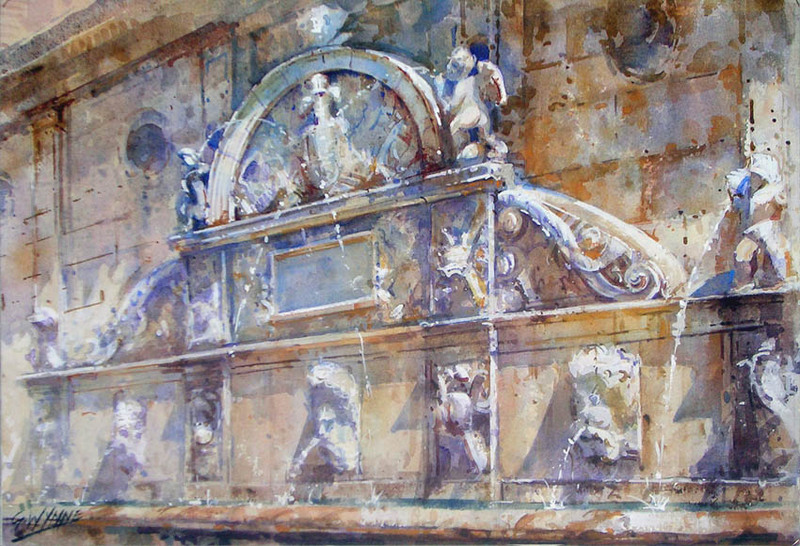 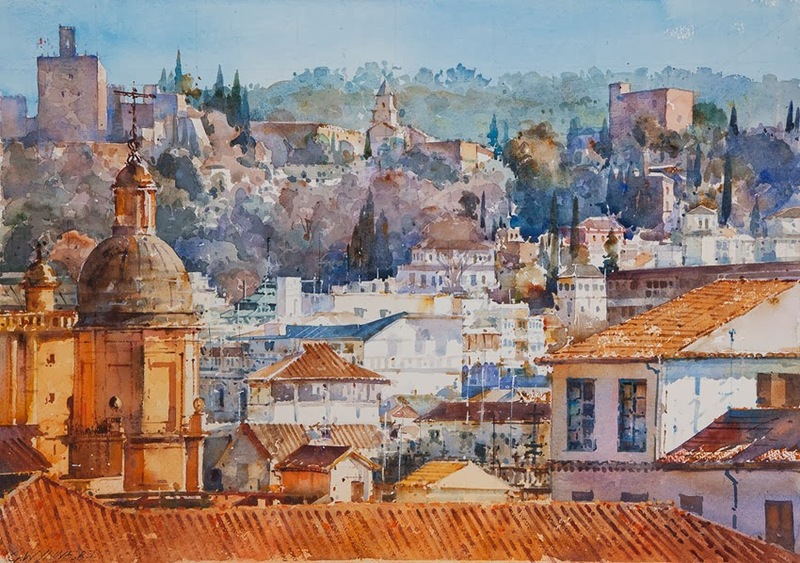 Geoffrey paints in watercolour and draws inspiration from the colour, sparkling light and vibrant culture of the Mediterranean - most notably Venice, Portugal, Morocco, Andalucia and Granada Spain, where he lives and works. 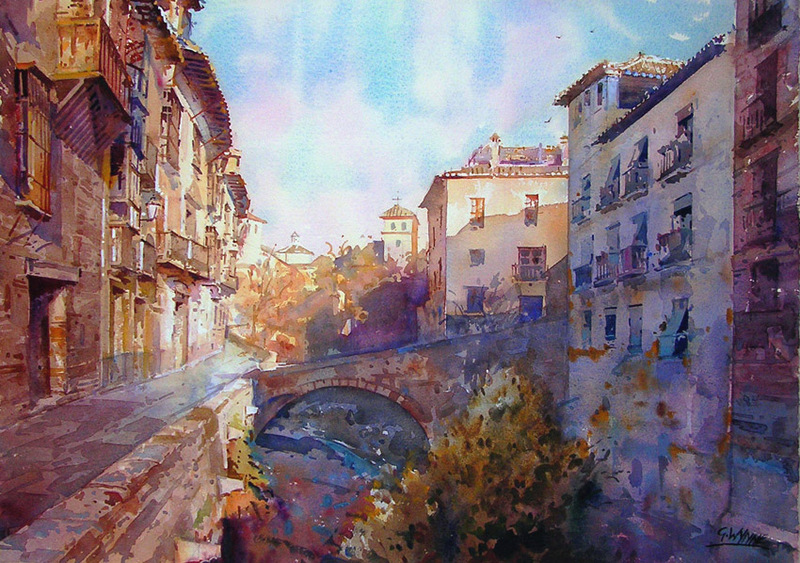 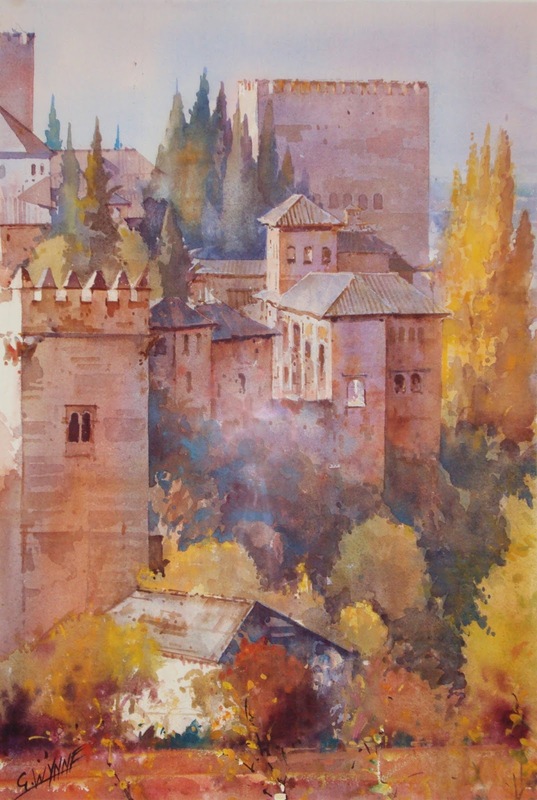 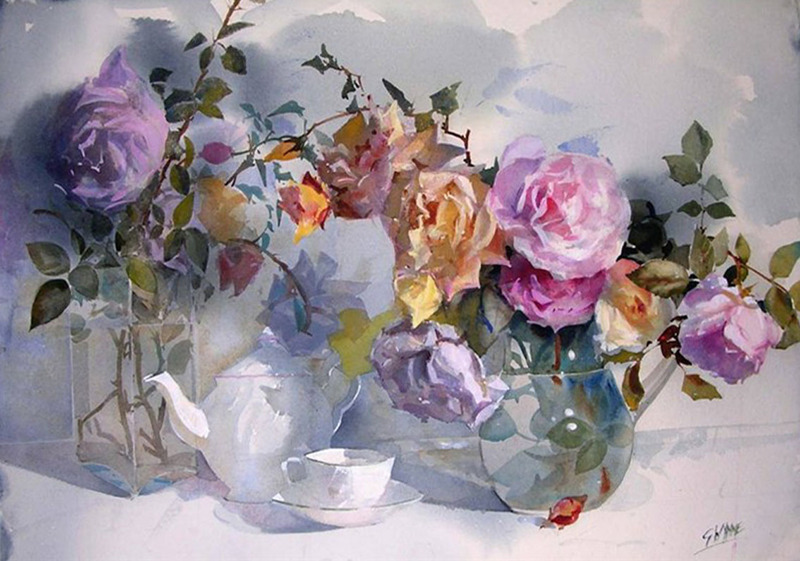 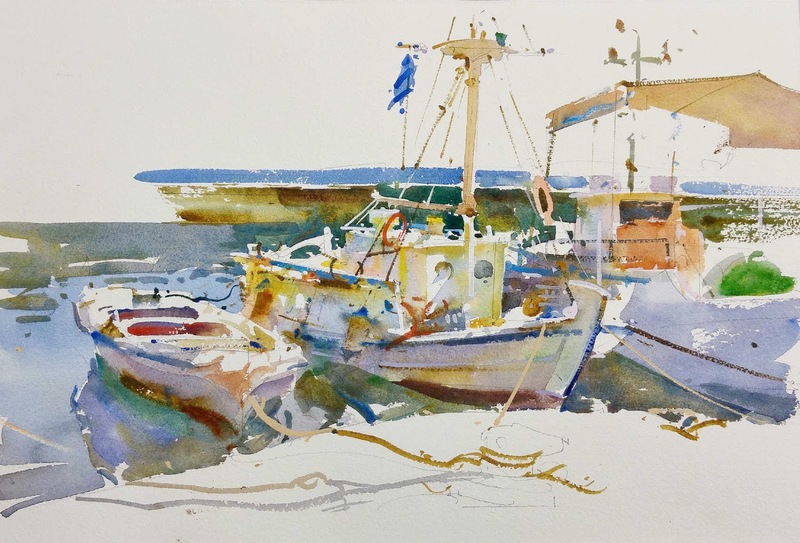 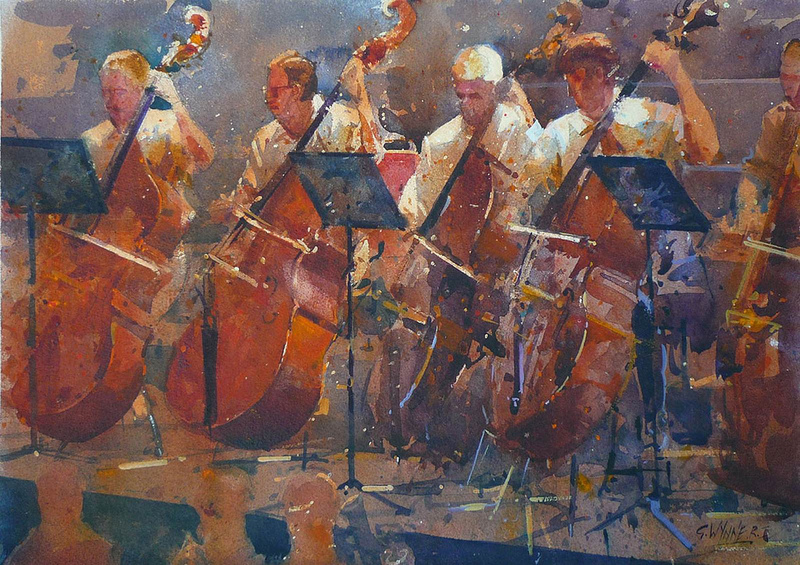 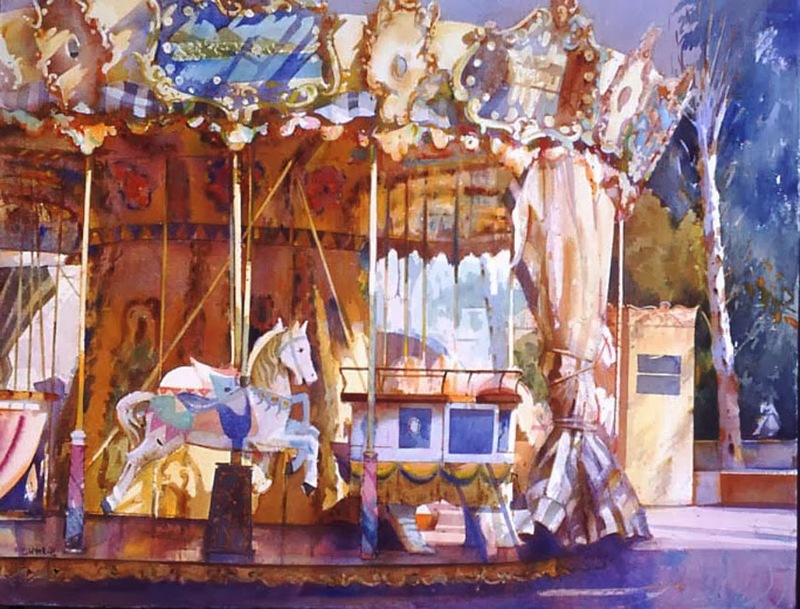 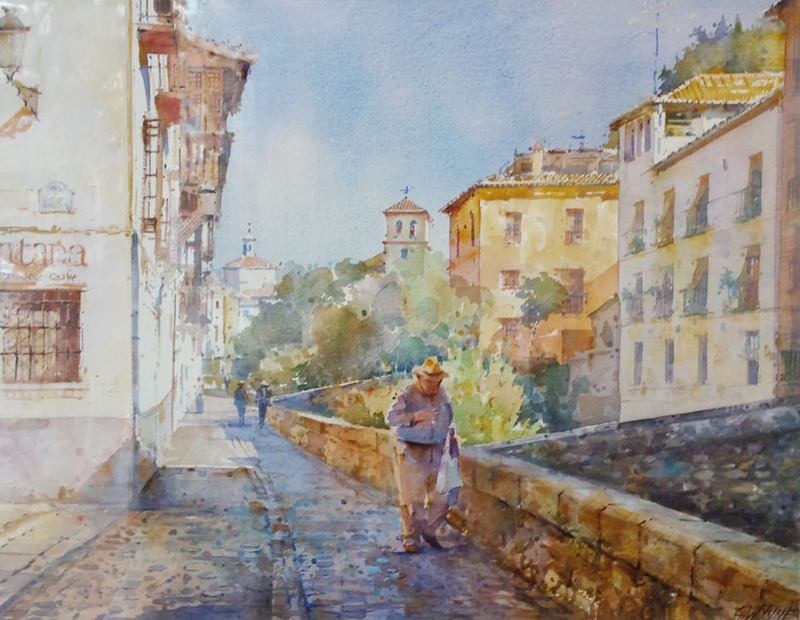 Geoffrey Wynne is a full member of the Royal Institute of Painters in Watercolour and has won great acclaim in Spain for his lively depictions of Andalucian life - as is reflected in his many prizes and awards. 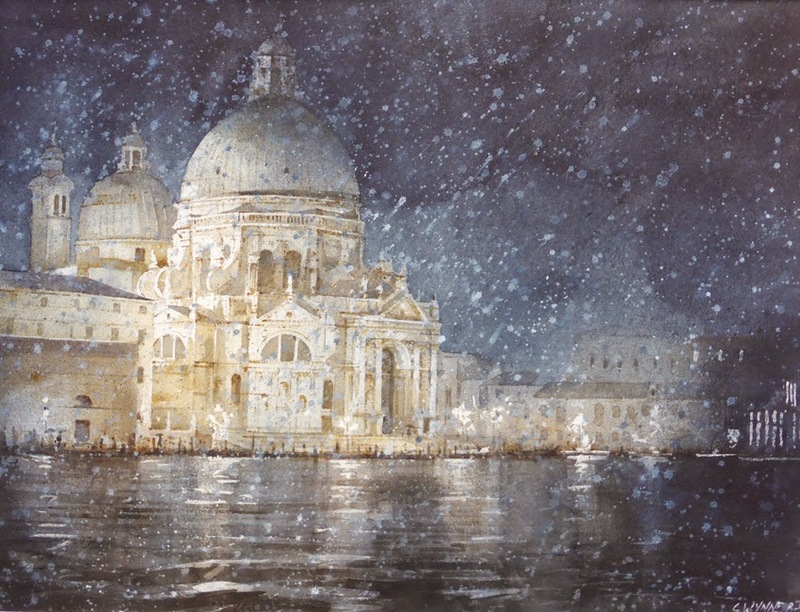 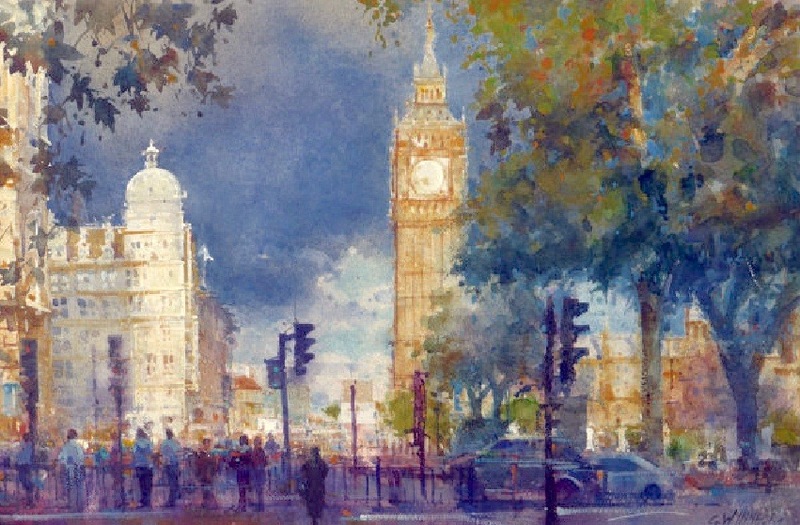 Royal Institute of Painters in Water Colours 2015. 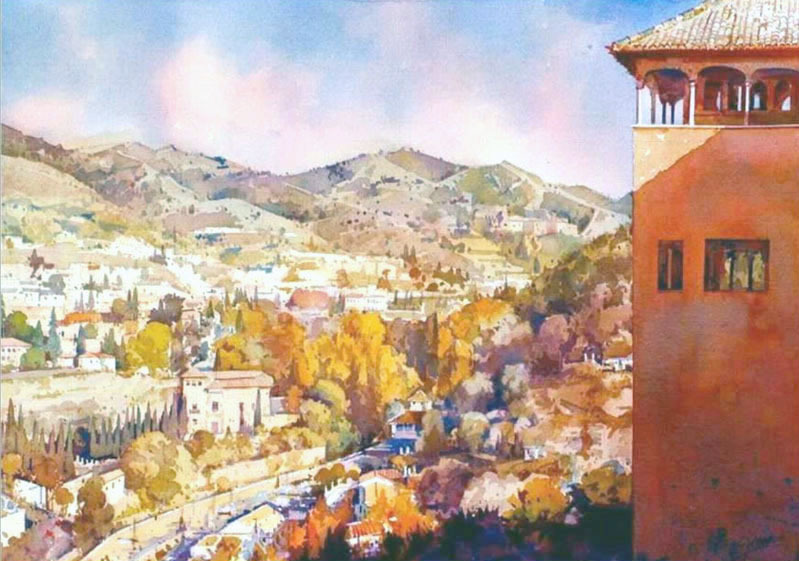 1st Prize - awarded by the Council of Malaga, Spain, 2007. 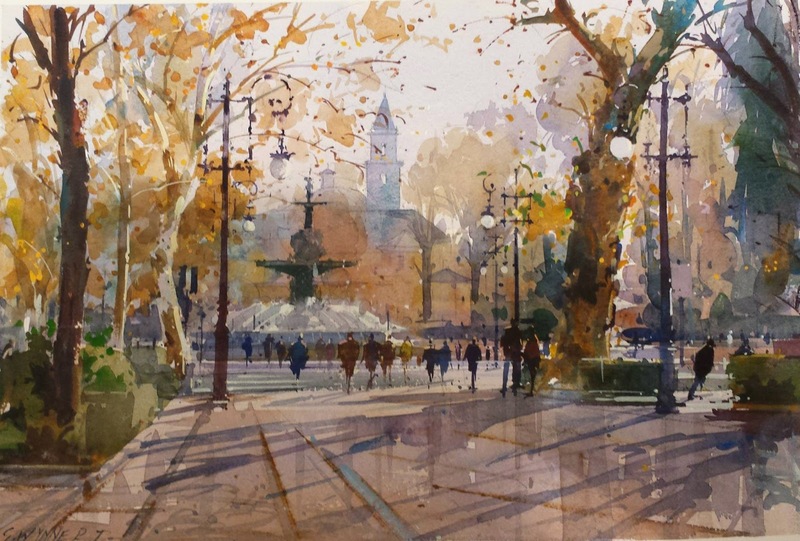 I normally work on the spot around the streets and landscapes of this beautiful city. 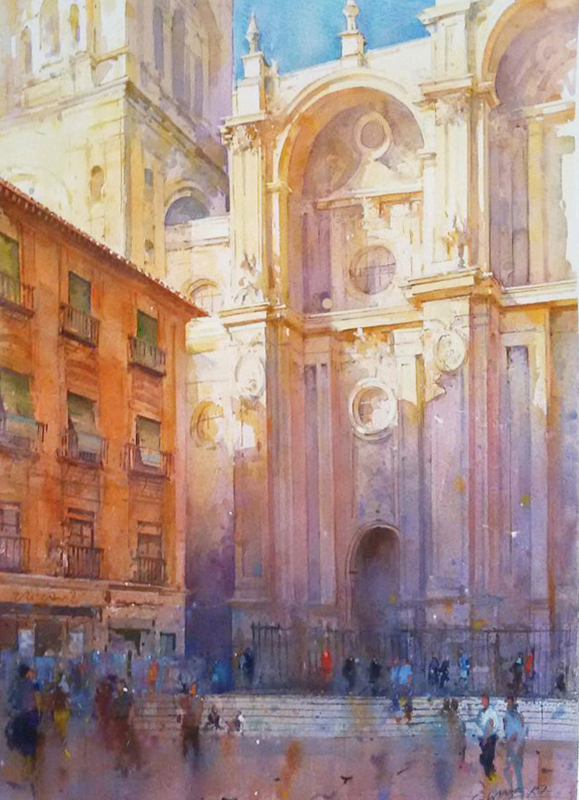 Finish works of 57 x 37cm are completed over 2/3 days, as the light permits. 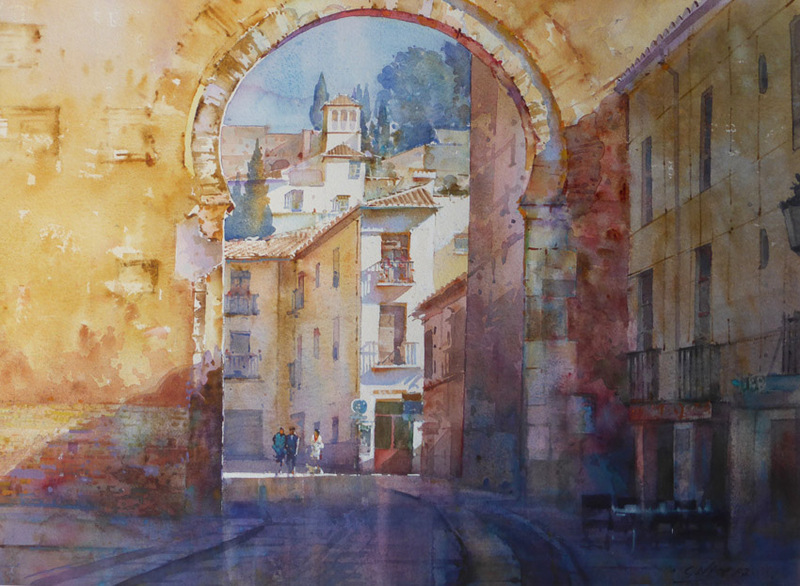 Teaching demonstrations and work done on travels are completed in 2/3 hours. 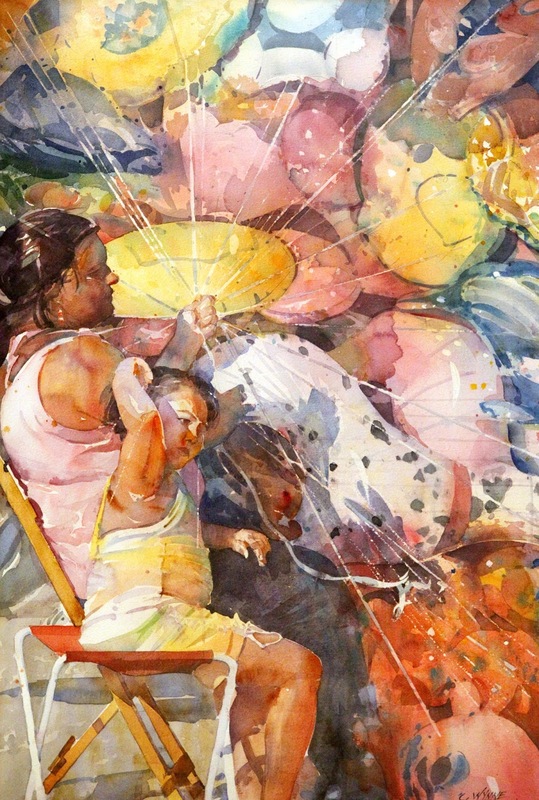 Larger works are done from photos in the studio. 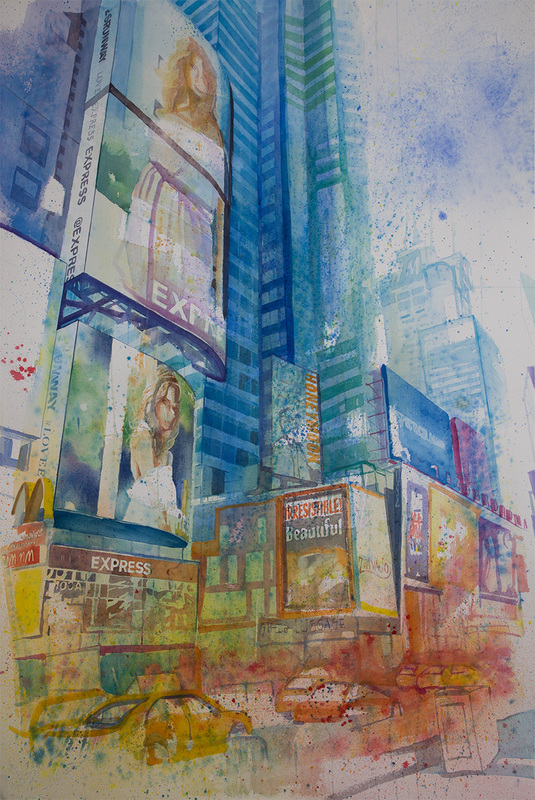 I use all the techniques wet in to wet, dry in to wet,dry brush and masking fluid and spray. 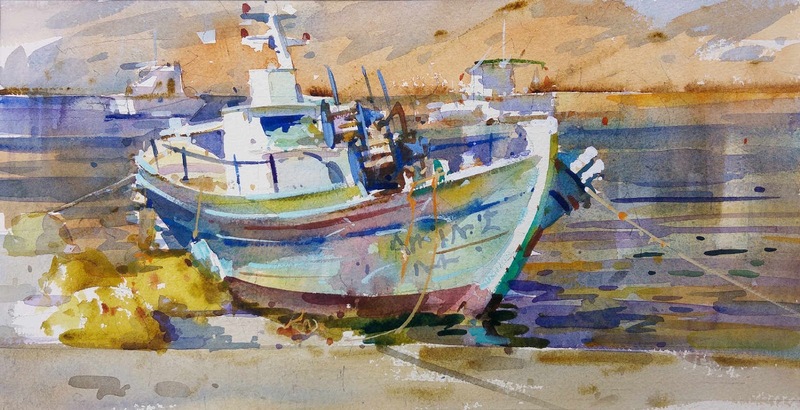 I make a small sketch before starting to find the simple tonal values. 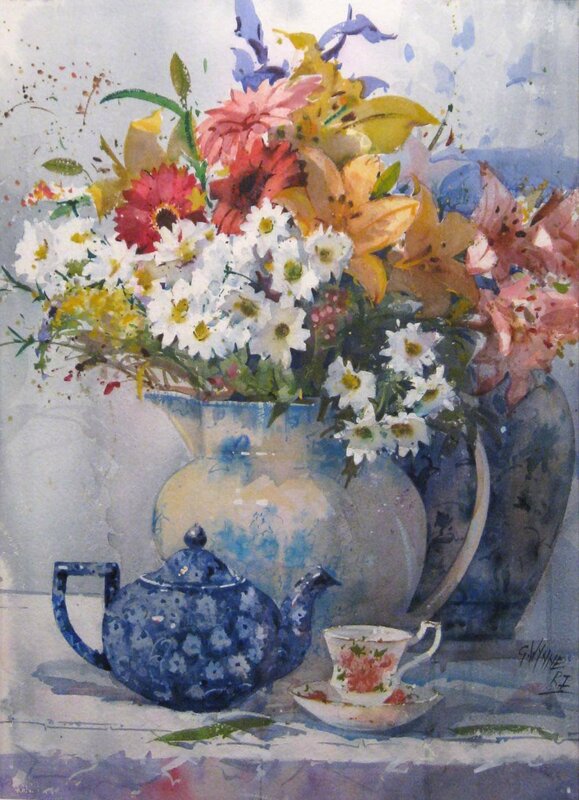 My flower paintings are done under a spot light, a small tonal sketch to arrange the composition and values. 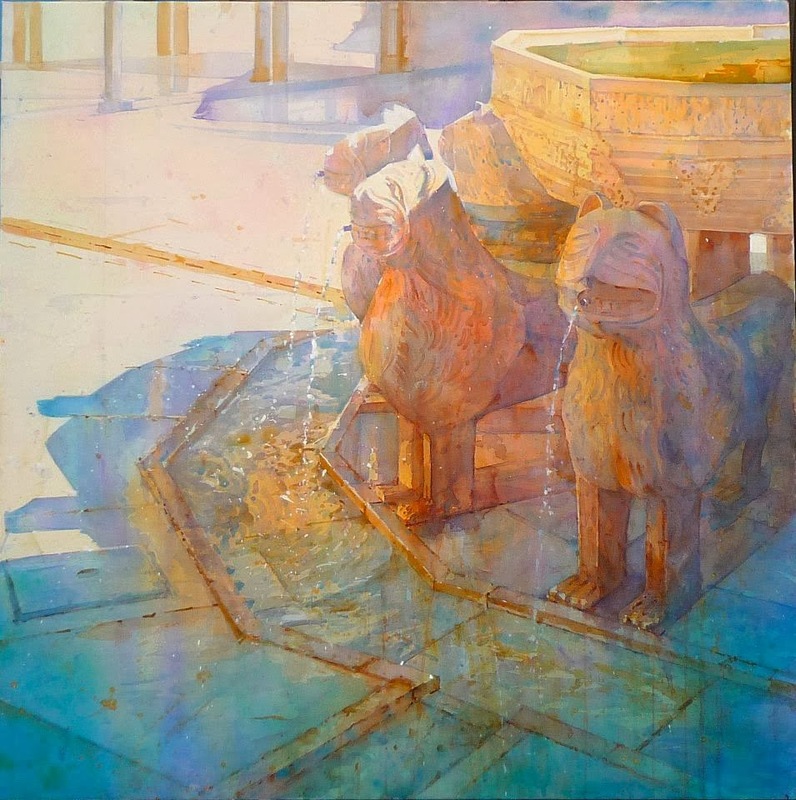 All is painted with simple shapes, whites and certain colour areas are masked with masking fluid, left to dry, then emerged in the bath. 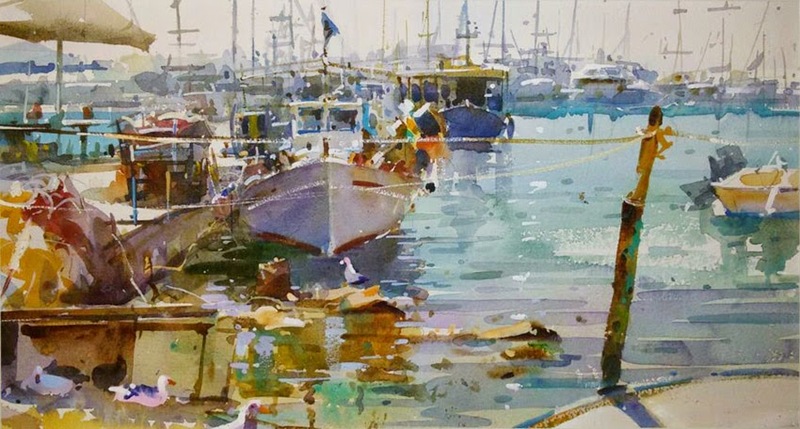 While wet, Paynes Grey, on a large brush, is placed in areas left to run, left to dry and then reworking and emphasising of colours and lastly, some white. 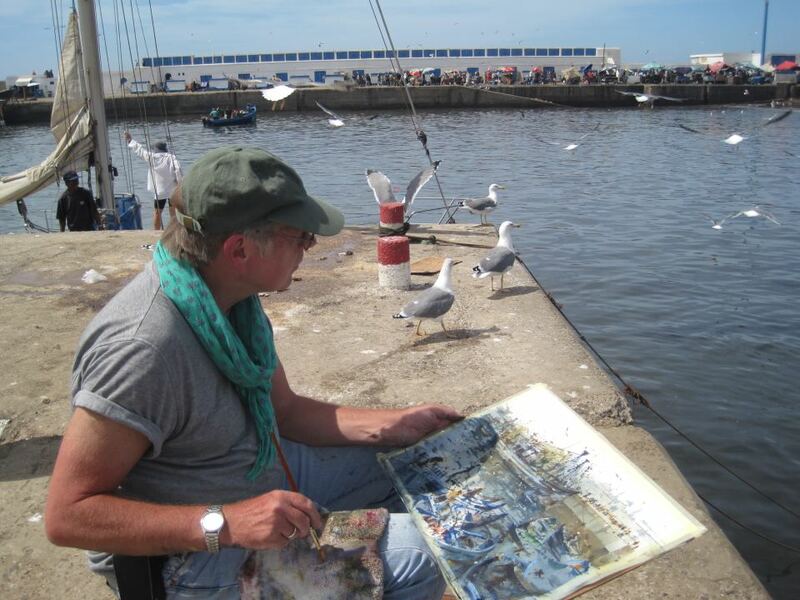 Sea paintings are done with a dry brush sprayed with water to run reworked and reworked plus sprays of different colours to create atmosphere. 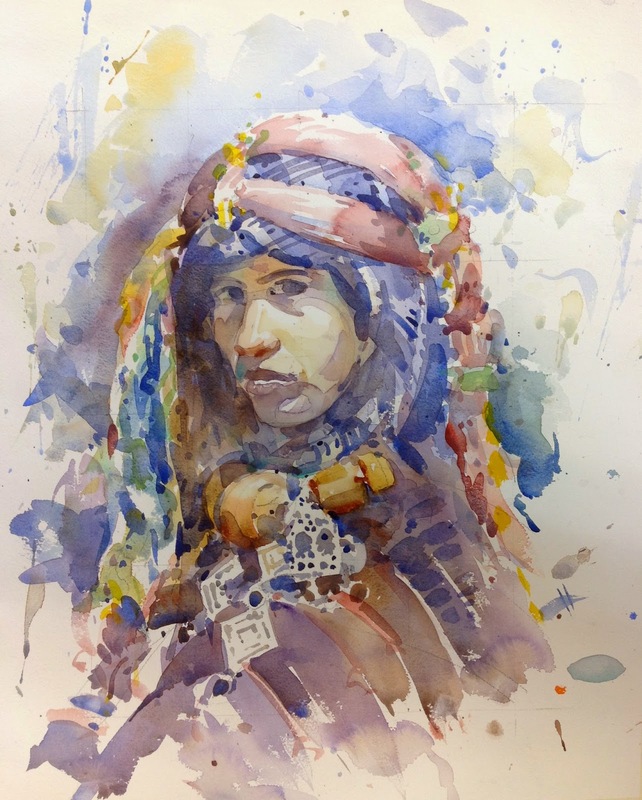 Commissions are taken and done quickly. 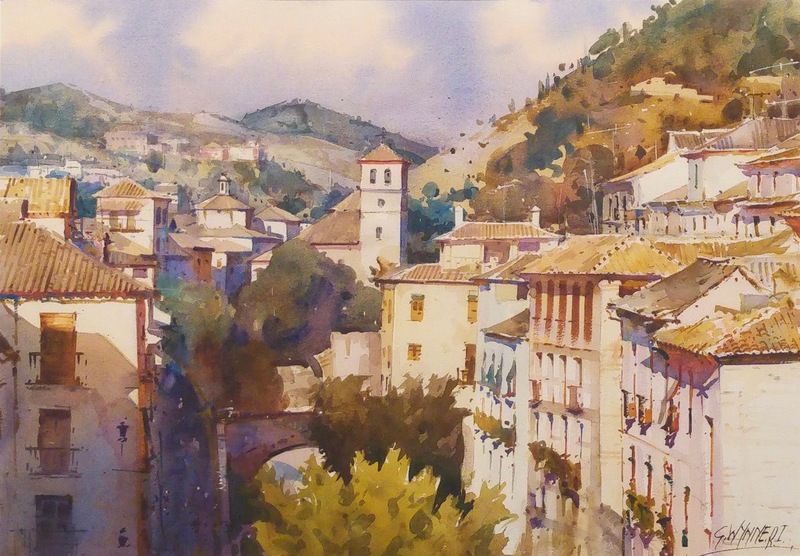 I also do watercolour painting holidays in Granada.